The Rural Entrepreneur Access Project (REAP) is a two-year poverty graduation model implemented by The BOMA Project that is specifically tailored for women in the arid lands. As part of a collaboration with the Bill and Melinda Gates Foundation and the International Center for Research on Women (ICRW), BOMA will conduct focus group discussions with participants of its REAP program to more deeply understand changes in household decision-making dynamics. With support from ICRW, BOMA has established the protocol for the research and seeks a consultant to facilitate and report on the discussions. The discussions will be held in rural areas of Marsabit and Samburu Counties. 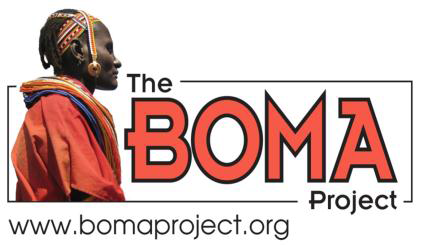 Facilitate focus group discussions of BOMA participants and their husbands in partnership with BOMA field staff that understand the program, culture and speak local languages and in accordance with an established research protocol. Report on the findings of the focus group discussions. Complete, in-depth focus group discussions with REAP participants and husbands of REAP participants. The focus group discussions are tentatively scheduled to take place between 30 October and 4 November. The assumption is that the consultant will spend 7 days preparing for, traveling and facilitating the discussions. Before 10 November, the consultant will share a proposed outline of the report for comment. The consultant will provide a draft of the report for comment by 20 November and the final report by November 30th. The assumption is that the consultant will spend 6 days preparing the report. Please send a cover letter detailing your experience conducting qualitative research and why you are particularly qualified for this position, CV and daily rate to heather.katcher@bomaproject.org by 15 October 2017.